Join us for a walking tour of Lake View Cemetery. 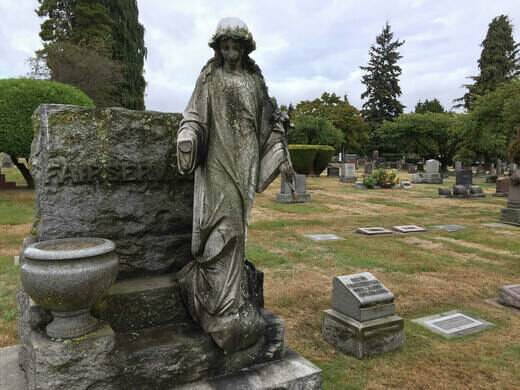 Learn about the history of the cemetery, the stories of our city's founders and famous residents, and other Seattle legends as we visit various monuments. Beneath the ground of Lake View Cemetery lies some of Seattle’s richest history. As Seattle’s most famous cemetery, many prominent Seattle pioneers lie within its grounds, including the Dennys, Maynards, Mercers, Yeslers, and Chief Seattle’s daughter, Princess Angeline. 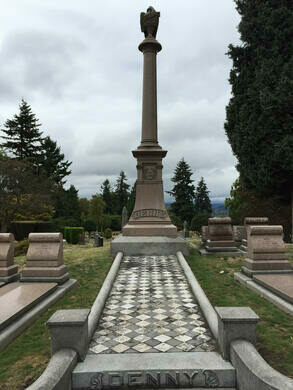 Join Jared Steed and the Atlas Obscura Society Seattle as we walk the cemetery learning about their stories and discussing their involvement in the founding and establishment of Seattle. Our tour will end at the graves of Lake View Cemetery’s most famous residents, Bruce and Brandon Lee, where we will discover what became of the funeral home which prepared Bruce Lee’s body for burial. NEW TOUR ADDED AT 10:30 a.m. !!! Meet in front of the main cemetery gate at 1554 15th Ave. E., Seattle, WA, 98112. We will be walking approximately one mile, so please wear comfortable walking and water-resistant shoes. Tour is family-friendly but parents must keep an eye on their children in order to ensure proper gravesite maintenance. All persons age 15 years old and younger must be accompanied by an adult to participate in the tour. This tour will involve walking approximately one mile. Although our tour will largely follow paved footpaths, please be aware that we will also cross over uneven grass and ground, including stepping over woody debris and muddy areas. The grass is often slippery when wet.